SPARK Museum is full of intimate galleries and exhibits, but there’s also a room — a rather large one, actually — where a good deal of magic takes place. We like to call this room the Powerhouse — it’s where we perform dynamic live action demonstrations for the largest audiences. Did you know Bellingham businesses, organizations and individuals can rent this space for their own use? This large meeting room is great for holiday parties, group retreat activities, weddings and receptions, board of directors’ dinners, company celebrations and so much more. As many as 120 people can gather in this Bellingham event space — that’s enough for quite a party! Even better, there’s a lot more to this large meeting room than just space. Event guests can have a catered dinner in the Powerhouse and then get a terrific customized show, featuring our special MegaZapper Tesla coil. Or, how about this — our operations director, Tana Granack, is an ordained minister, and you can call on his services to get married in the Faraday Cage of Doom! SPARK Museum’s many artifact galleries and interactive exhibits can be made available, too, for private viewing at your special event. Here’s what you have available when you book the Powerhouse meeting room for your next Whatcom County event: seating, tables, audio equipment, projector, screen — they’re all available to make planning your event in Bellingham easy as can be. Plus, you can arrange for catering and bar service, too. All of that plus a MegaZapper show and/or access to the many wonderful galleries of electrical history in SPARK — you’ve practically guaranteed yourself and your guests an event to remember. 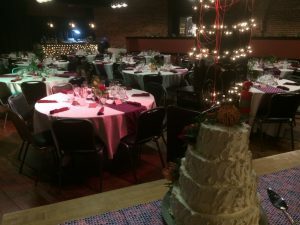 There really is no wedding venue, meeting room or event space like the Powerhouse in Bellingham, Ferndale, Lynden or all of Whatcom County. 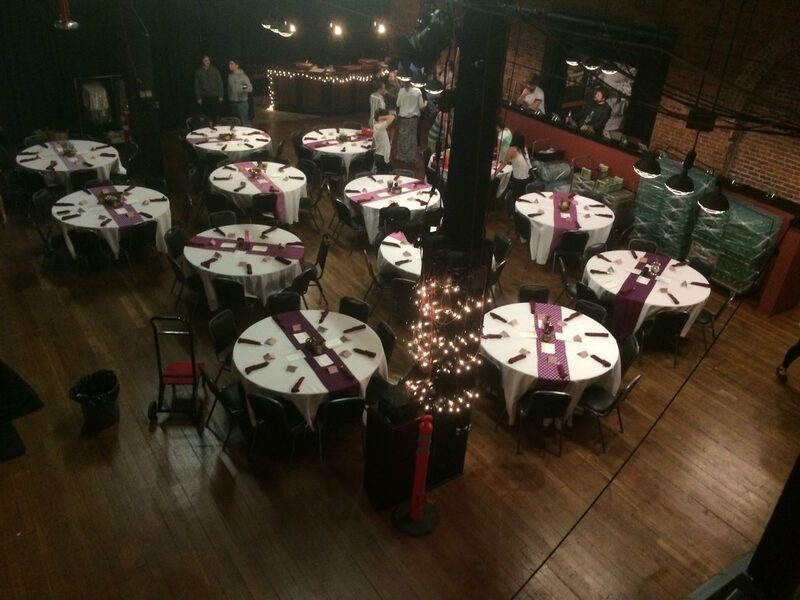 Rental rates for our Bellingham event venue are customized based on your needs. 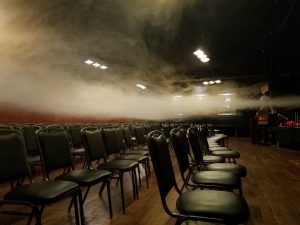 Considerations include how much time you’ll need, whether catering or an alcohol permit are needed, the number of guests, whether you’d like access to our museum galleries, and, of course, whether you’d like our staff to delight and impress your guests with special demonstrations and a live-action show. Whether you want a memorable setting for your wedding reception or unique surroundings for your next corporate party, SPARK Museum has truly unforgettable space for you. Ready to learn more about renting SPARK Museum for a special event in Bellingham? Contact us to get started.